A Circular for importing vehicles in terms of Trade and Investment policy for senior level executive grade administrative positions, management positions and professionals in Government Services, State Corporations and Statutory institutions had been issued by the Finance Ministry today. The circular had been issued following amendments made to the relevant policy in accordance with decisions reached at the May 2 Cabinet meeting. The Trade Agreement Policy Circular No.01/2016 dated July 14, 2016 governs the import of vehicles for senior level executives grade administrative positions in sate sector, the Ministry said. If the vehicles cost, insurance premium and freight (CIF) value exceeds above US$25,000 whether it is imported or purchased locally, should not be transferred to any other party before the completion of five year time period from the date of registration. The circular dated retrospectively, affects vehicles imported since June 10. Accordingly, the maximum CIF value should not exceed US$ 30,000 or its equivalent in any other currency, as per the exchange rate that prevailed on the date of opening the Letter of Credit (LC). This regulation is valid up to the importation of a vehicle or purchasing of a locally-assembled vehicle. Vehicle Duty Waivers that were granted from November 20, 2015 until May 31, 2017 and vehicles that had received clearance from the Customs on or before May 31, 2017 cannot be transferred to a third party before the lapse of five years, except under the new criteria mentioned in the circular. 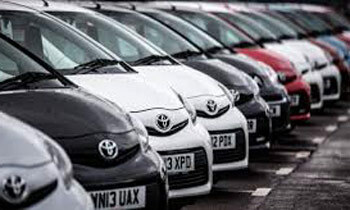 The total production tax should be paid by the vehicle permit holder to the customs when buying locally manufactured motor vehicle or imported vehicle. I THINK THIS MUST HAVE BEEN AIMED WITH A VIEW TO THE REDUCTION OF DENGUE VICTIMS AS MOSQUITOES CAN'T GO INSIDE THE VEHICLES. Why we are so obsessed with vehicles when there are more serious and burning issues in the country. Retrospectively till 2010. What a joke. I suggest all vehicles that have been imported duty free be under special number plate from year 2005 retrospectively marked NO DUTY to know who has played out we the taxpayers, and show how they have defrauded tax revenue for personal benefit. I know this idea will never see light of day but it will show up the suckers if implemented. Media I beg of you, please stand up for once.